From an estate and in excellent condition. No dents or dings or damage or repair. All original. Not polished or cleaned. 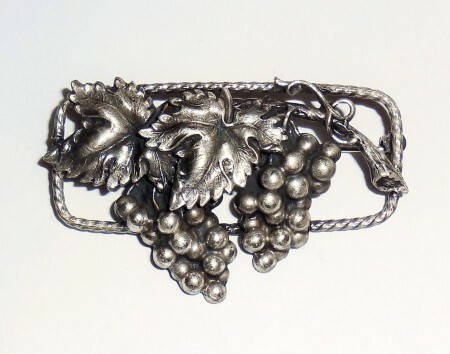 Notr touched in any way……… this is an antique Edwardian to Art Nouveau sterling silver aesthetic grapes and grapeleaves pin. 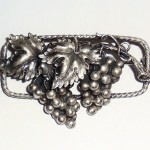 It has several worn hallmarks on the back and is also Tested and Guaranteed to be solid sterling silver…..not plated. Indicative of the very early 1900s hand crafting the bough is hand applied with a tiny sterling nail. No dents or dings or damage or repair. 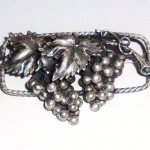 Size is 2″ long East to West by 1 1/4″ wide North to South from the top of the rectangle to the bottom of the lowest grape. 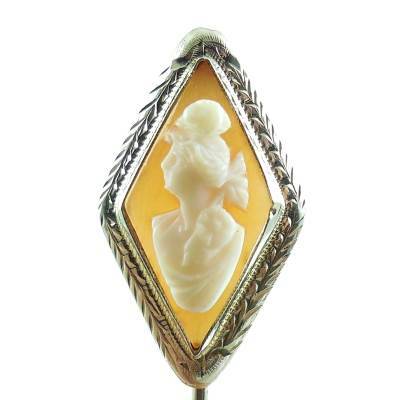 A lovely and very finely detailed antique aesthetic pin for your collection. 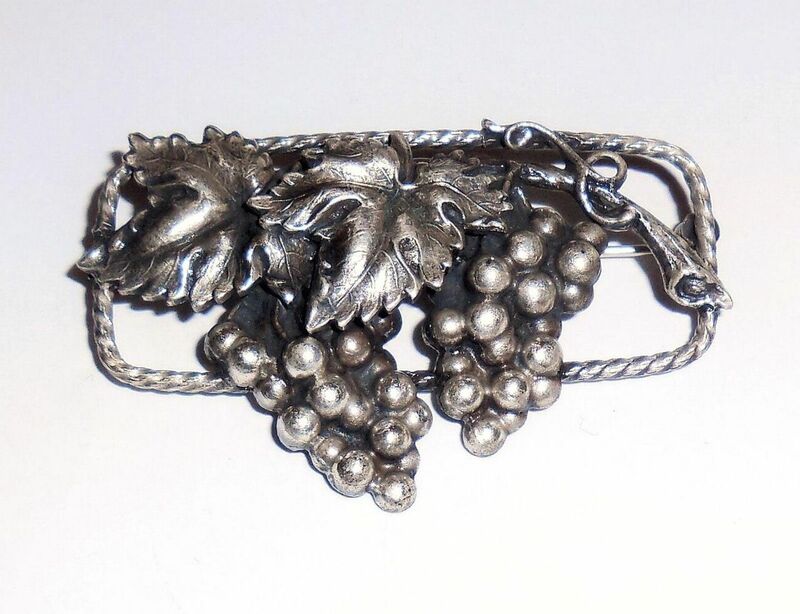 Antique Sterling Silver Art Nouveau Edwardian Aesthetic Grapes Pin Hallmarked, From an estate and in excellent condition. 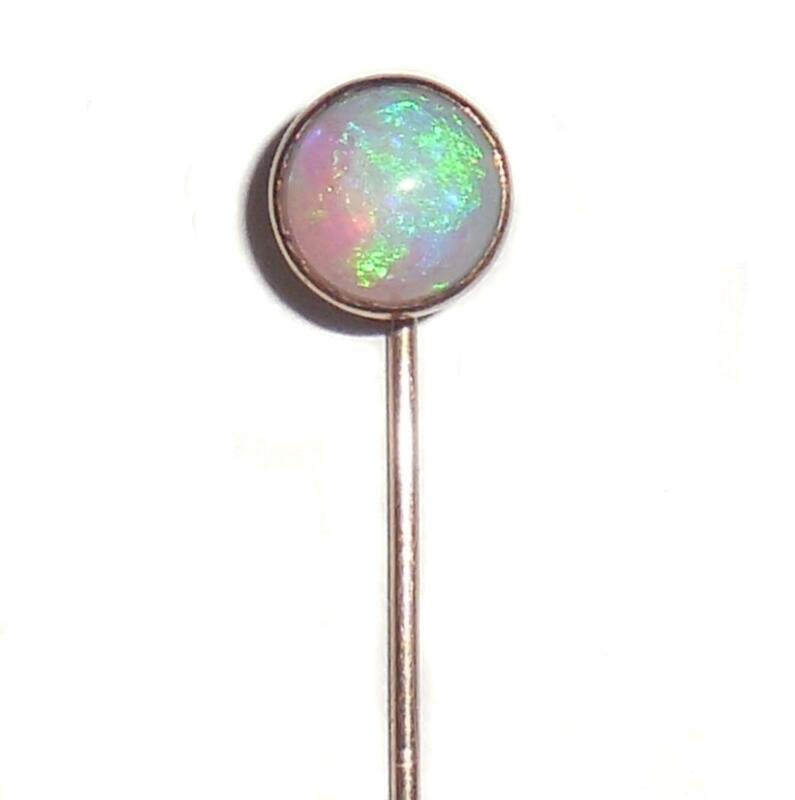 It has several worn hallmarks on the back. 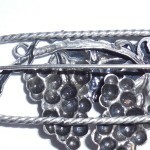 Additionally, it is jeweler tested and guaranteed to be solid sterling silver. 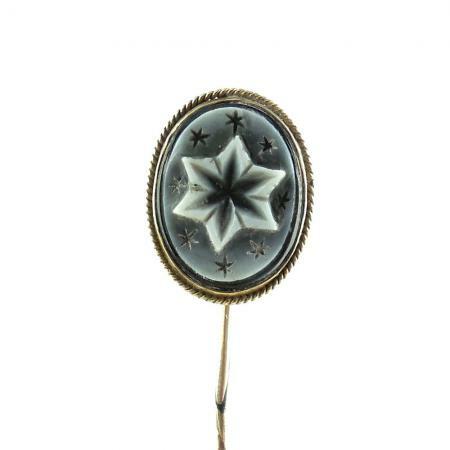 Indicative of its age the bough is hand applied with a tiny handmade sterling silver nail. 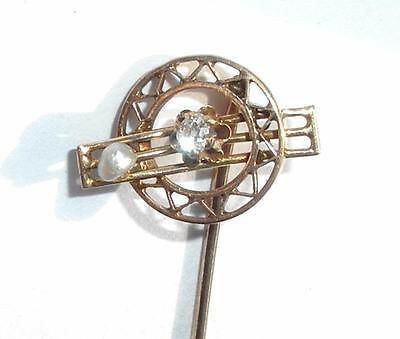 In as much as many collectors prefer originality this pin is completely original and has not been polished or altered in any way. 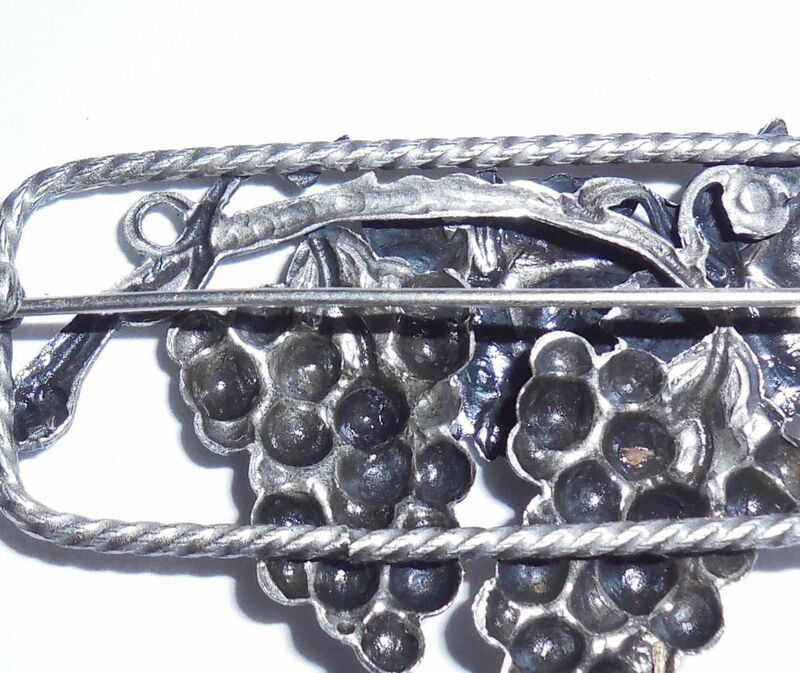 Hence, having a fancy thick twisted sterling frame along with beautiful handcrafting and a textured grapes motif this is a lovely Antique Sterling Silver Art Nouveau Edwardian Aesthetic Grapes Pin for your collection. Excellent overall condition. No dents or dings or damage or repair. 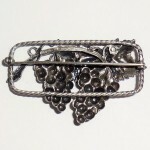 Size is 2″ long East to West by 1 1/4″ wide North to South from the top of the rectangle to the bottom of the lowest grape. 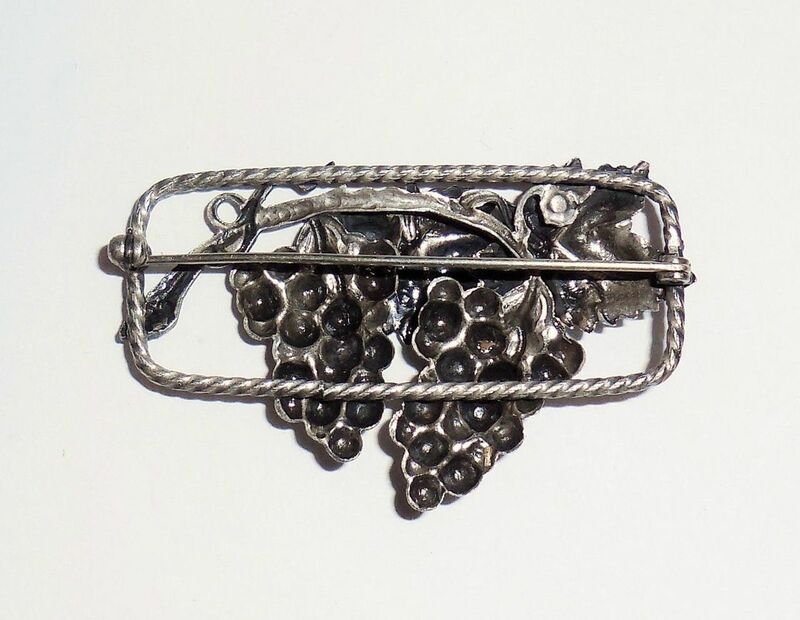 Overall, this is a very finely detailed well-made Antique Sterling Silver Art Nouveau Edwardian Aesthetic Grapes Pin.